The prophet Isaiah speaks to a people who are asking this question, “Are we there yet?” They are longing for that day to come, when light shines upon their darkness. They have known the threat of war and they long for peace. They live in the “not yet” time. They need signs of hope along the way. Sound familiar?? Does this sound like us today? Can ancient words in the prophet Isaiah still speak to us God’s word of hope today? This is the reason we gather for worship—to hear the word of God that is still speaking to the questions we bring from our lives. The word of God we share on Christmas eve from Isaiah 9 points to signs and ends with this hope: “The people who walked in darkness have seen a great light; those who lived in a land of deep darkness, on them light has shined. For a child has been born—. . . and there shall be endless peace”. So --Are we there yet? Do we live secure and in that peace? Not yet?! But God will see to it that the Prince of Peace reigns. That’s a promise. In the meantime—we are called to share the taste of peace, by serving up heaping plates of grace, so the world might come to know Jesus, the Prince of Peace. O God, your presence fills both night and day. Bring us to dwell confidently in your love always, and help us to follow where you lead. Make us bold witnesses of the light of Christ, whose gentle yet powerful light shines through the darkness. Amen. 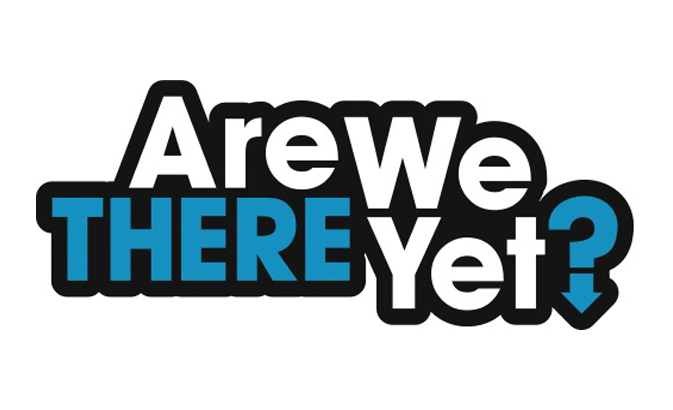 Perhaps the question we can be asking is --Are WE there yet?? Are we the ones giving witness to this Jesus, the Prince of peace? Do we live with hope and joy? Do we forgive as we have been forgiven and work for peace among all? Are we there yet? Not yet? Do we trust that grace and hope abounds for us, as we also strive to work for peace?